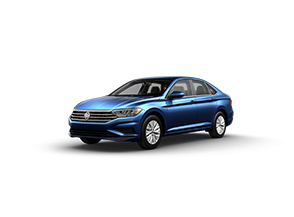 Check out the current offers that can save you money on a new Volkswagen vehicle in Wellesley, MA right now. We are continually getting the latest and greatest incentives straight from Volkswagen to make sure that you are saving money on the purchase or lease of a new Volkswagen in Wellesley. As with most offers, they are always changing, so make sure you are checking back often to see the best deals we have to offer. 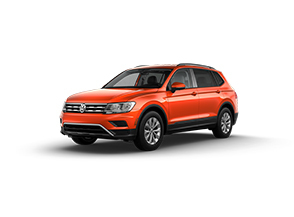 *Closed end lease financing available through April 30, 2019 for a new, unused 2019 Tiguan 2.0T S with 4MOTION with automatic transmission, on approved credit to highly qualified customers by Volkswagen Credit through participating dealers in Massachusetts; Connecticut; New Hampshire; Rhode Island; Vermont; Maine; Michigan; Ohio; Delaware; Pennsylvania; New York; New Jersey and West Virginia. Monthly lease payment based on MSRP of $26,590 and destination charges less a suggested dealer contribution resulting in a capitalized cost of $24,878.69. Excludes tax, title, license, options, and dealer fees. Monthly payments total $11,271 and include acquisition fee of $675. Your payment will vary based on final negotiated price. At lease end, lessee responsible for disposition fee of $395, $0.20/mile over 32,500 miles and excessive wear and use. Offer not valid in Puerto Rico. See your Volkswagen dealer for details or, for general product information, call 1-800-Drive-VW. ©2019 Volkswagen of America, Inc.
*Closed end lease financing available through April 30, 2019 for a new, unused 2019 Jetta 1.4T S with automatic transmission, on approved credit to highly qualified customers by Volkswagen Credit through participating dealers in Massachusetts; Connecticut; New Hampshire; Rhode Island; Vermont; Maine; Michigan; Ohio; Delaware; Pennsylvania; New York; New Jersey and West Virginia. Monthly lease payment based on MSRP of $20,440 and destination charges less a suggested dealer contribution resulting in a capitalized cost of $20,466.01. Excludes tax, title, license, options, and dealer fees. Monthly payments total $9,711 and include acquisition fee of $675. Your payment will vary based on final negotiated price. At lease end, lessee responsible for disposition fee of $395, $0.20/mile over 32,500 miles and excessive wear and use. Offer not valid in Puerto Rico. See your Volkswagen dealer for details or, for general product information, call 1-800-Drive-VW. ©2019 Volkswagen of America, Inc. Example lease: $409/mo. for 39-mos. $0 Due at signing, excludes tax, title, license, options, and dealer fees. For highly qualified customers through Volkswagen Credit. 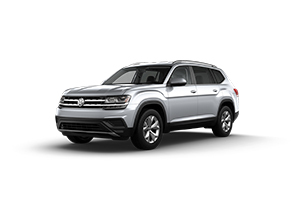 *Closed end lease financing available through April 30, 2019 for a new, unused 2019 Atlas V6 S with 4MOTION with automatic transmission, on approved credit to highly qualified customers by Volkswagen Credit through participating dealers in Massachusetts; Connecticut; New Hampshire; Rhode Island; Vermont; Maine; Michigan; Ohio; Delaware; Pennsylvania; New York; New Jersey and West Virginia. Monthly lease payment based on MSRP of $35,090 and destination charges less a suggested dealer contribution resulting in a capitalized cost of $32,426.29. Excludes tax, title, license, options, and dealer fees. Monthly payments total $15,951.02 and include acquisition fee of $675. Your payment will vary based on final negotiated price. At lease end, lessee responsible for disposition fee of $395, $0.20/mile over 32,500 miles and excessive wear and use. Offer not valid in Puerto Rico. See your Volkswagen dealer for details or, for general product information, call 1-800-Drive-VW. ©2019 Volkswagen of America, Inc.
*Closed end lease financing available through April 30, 2019 for a new, unused 2019 Atlas V6 SE with 4MOTION with automatic transmission, on approved credit to highly qualified customers by Volkswagen Credit through participating dealers in Massachusetts; Connecticut; New Hampshire; Rhode Island; Vermont; Maine; Michigan; Ohio; Delaware; Pennsylvania; New York; New Jersey and West Virginia. Monthly lease payment based on MSRP of $38,290 and destination charges less a suggested dealer contribution resulting in a capitalized cost of $35,853.09. Excludes tax, title, license, options, and dealer fees. Monthly payments total $17,901.02 and include acquisition fee of $675. Your payment will vary based on final negotiated price. At lease end, lessee responsible for disposition fee of $395, $0.20/mile over 32,500 miles and excessive wear and use. Offer not valid in Puerto Rico. See your Volkswagen dealer for details or, for general product information, call 1-800-Drive-VW. ©2019 Volkswagen of America, Inc.
*Closed end lease financing available through April 30, 2019 for a new, unused 2019 Atlas V6 SE Tech with 4Motion with automatic transmission, on approved credit to highly qualified customers by Volkswagen Credit through participating dealers in Massachusetts; Connecticut; New Hampshire; Rhode Island; Vermont; Maine; Michigan; Ohio; Delaware; Pennsylvania; New York; New Jersey and West Virginia. Monthly lease payment based on MSRP of $40,090 and destination charges less a suggested dealer contribution resulting in a capitalized cost of $37,110.37. Excludes tax, title, license, options, and dealer fees. Monthly payments total $18,291 and include acquisition fee of $675. Your payment will vary based on final negotiated price. At lease end, lessee responsible for disposition fee of $395, $0.20/mile over 32,500 miles and excessive wear and use. Offer not valid in Puerto Rico. See your Volkswagen dealer for details or, for general product information, call 1-800-Drive-VW. 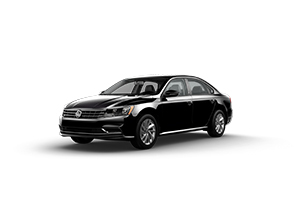 ©2019 Volkswagen of America, Inc.
*Closed end lease financing available through April 30, 2019 for a new, unused 2019 Passat 2.0T Wolfsburg with automatic transmission, on approved credit to highly qualified customers by Volkswagen Credit through participating dealers in Massachusetts; Connecticut; New Hampshire; Rhode Island; Vermont; Maine; Michigan; Ohio; Delaware; Pennsylvania; New York; New Jersey and West Virginia. Monthly lease payment based on MSRP of $26,190 and destination charges less a suggested dealer contribution resulting in a capitalized cost of $24,997.56. Excludes tax, title, license, options, and dealer fees. Monthly payments total $12,441.01 and include acquisition fee of $675. Your payment will vary based on final negotiated price. At lease end, lessee responsible for disposition fee of $395, $0.20/mile over 32,500 miles and excessive wear and use. Offer not valid in Puerto Rico. See your Volkswagen dealer for details or, for general product information, call 1-800-Drive-VW. ©2019 Volkswagen of America, Inc.
*Closed end lease financing available through April 30, 2019 for a new, unused 2019 Golf GTI S with automatic transmission, on approved credit to highly qualified customers by Volkswagen Credit through participating dealers in Massachusetts; Connecticut; New Hampshire; Rhode Island; Vermont; Maine; Michigan; Ohio; Delaware; Pennsylvania; New York; New Jersey and West Virginia. Monthly lease payment based on MSRP of $29,590 and destination charges less a suggested dealer contribution resulting in a capitalized cost of $29,533.20. Excludes tax, title, license, options, and dealer fees. Monthly payments total $15,561.02 and include acquisition fee of $675. Your payment will vary based on final negotiated price. At lease end, lessee responsible for disposition fee of $395, $0.20/mile over 32,500 miles and excessive wear and use. Offer not valid in Puerto Rico. See your Volkswagen dealer for details or, for general product information, call 1-800-Drive-VW. 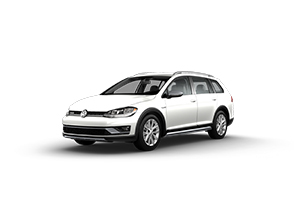 ©2019 Volkswagen of America, Inc.
*Closed end lease financing available through April 30, 2019 for a new, unused 2019 Golf Alltrack S with automatic transmission, on approved credit to highly qualified customers by Volkswagen Credit through participating dealers in Massachusetts; Connecticut; New Hampshire; Rhode Island; Vermont; Maine; Michigan; Ohio; Delaware; Pennsylvania; New York; New Jersey and West Virginia. Monthly lease payment based on MSRP of $28,890 and destination charges less a suggested dealer contribution resulting in a capitalized cost of $28,050.87. Excludes tax, title, license, options, and dealer fees. Monthly payments total $14,391.01 and include acquisition fee of $675. Your payment will vary based on final negotiated price. At lease end, lessee responsible for disposition fee of $395, $0.20/mile over 32,500 miles and excessive wear and use. Offer not valid in Puerto Rico. See your Volkswagen dealer for details or, for general product information, call 1-800-Drive-VW. ©2019 Volkswagen of America, Inc.
*Closed end lease financing available through April 30, 2019 for a new, unused 2019 Golf S with automatic transmission, on approved credit to highly qualified customers by Volkswagen Credit through participating dealers in Massachusetts; Connecticut; New Hampshire; Rhode Island; Vermont; Maine; Michigan; Ohio; Delaware; Pennsylvania; New York; New Jersey and West Virginia. Monthly lease payment based on MSRP of $23,840 and destination charges less a suggested dealer contribution resulting in a capitalized cost of $23,070.60. Excludes tax, title, license, options, and dealer fees. Monthly payments total $10,881.01 and include acquisition fee of $675. Your payment will vary based on final negotiated price. At lease end, lessee responsible for disposition fee of $395, $0.20/mile over 32,500 miles and excessive wear and use. Offer not valid in Puerto Rico. See your Volkswagen dealer for details or, for general product information, call 1-800-Drive-VW. ©2019 Volkswagen of America, Inc.
*Closed end lease financing available through April 30, 2019 for a new, unused 2019 Golf SportWagen S with automatic transmission, on approved credit to highly qualified customers by Volkswagen Credit through participating dealers in Massachusetts; Connecticut; New Hampshire; Rhode Island; Vermont; Maine; Michigan; Ohio; Delaware; Pennsylvania; New York; New Jersey and West Virginia. Monthly lease payment based on MSRP of $23,890 and destination charges less a suggested dealer contribution resulting in a capitalized cost of $22,903.21. Excludes tax, title, license, options, and dealer fees. Monthly payments total $12,051 and include acquisition fee of $675. Your payment will vary based on final negotiated price. At lease end, lessee responsible for disposition fee of $395, $0.20/mile over 32,500 miles and excessive wear and use. Offer not valid in Puerto Rico. See your Volkswagen dealer for details or, for general product information, call 1-800-Drive-VW. ©2019 Volkswagen of America, Inc. Example lease: $359/mo. for 39-mos. $0 Due at signing, excludes tax, title, license, options, and dealer fees. For highly qualified customers through Volkswagen Credit. Lease a 2019 Golf SportWagen S with 4MOTION with automatic transmission for $359* a month. 39-month lease. For highly qualified customers through Volkswagen Credit. 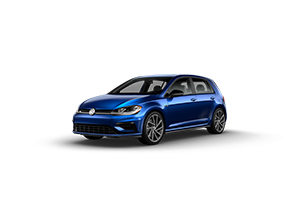 *Closed end lease financing available through April 30, 2019 for a new, unused 2019 Golf SportWagen S with 4MOTION with automatic transmission, on approved credit to highly qualified customers by Volkswagen Credit through participating dealers in Massachusetts; Connecticut; New Hampshire; Rhode Island; Vermont; Maine; Michigan; Ohio; Delaware; Pennsylvania; New York; New Jersey and West Virginia. Monthly lease payment based on MSRP of $26,390 and destination charges less a suggested dealer contribution resulting in a capitalized cost of $26,200.96. Excludes tax, title, license, options, and dealer fees. Monthly payments total $14,001 and include acquisition fee of $675. Your payment will vary based on final negotiated price. At lease end, lessee responsible for disposition fee of $395, $0.20/mile over 32,500 miles and excessive wear and use. Offer not valid in Puerto Rico. See your Volkswagen dealer for details or, for general product information, call 1-800-Drive-VW. ©2019 Volkswagen of America, Inc.
$249*/month for 39 month lease. 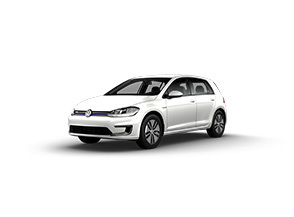 *Closed end lease financing available through April 30, 2019 for a new, unused 2019 e-Golf SE with automatic transmission, on approved credit to highly qualified customers by Volkswagen Credit through participating dealers in Massachusetts; Connecticut; Rhode Island; Vermont; Maine; Delaware; Pennsylvania; New York and New Jersey. Monthly lease payment based on MSRP of $32,790 and destination charges less a suggested dealer contribution resulting in a capitalized cost of $20,661.09. Excludes tax, title, license, options, and dealer fees. Amount due at signing includes first month’s payment, capitalized cost reduction, and acquisition fee of $675. Monthly payments total $9,711. Your payment will vary based on final negotiated price. At lease end, lessee responsible for disposition fee of $395, $0.20/mile over 32,500 miles and excessive wear and use. Offer not valid in Puerto Rico. See your Volkswagen dealer for details or, for general product information, call 1-800-Drive-VW. 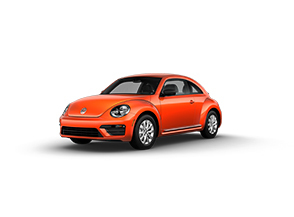 *Closed end lease financing available through April 30, 2019 for a new, unused 2019 Beetle 2.0T S with automatic transmission, on approved credit to highly qualified customers by Volkswagen Credit through participating dealers in Massachusetts; Connecticut; New Hampshire; Rhode Island; Vermont; Maine; Michigan; Ohio; Delaware; Pennsylvania; New York; New Jersey and West Virginia. Monthly lease payment based on MSRP of $21,790 and destination charges less a suggested dealer contribution resulting in a capitalized cost of $18,612.86. Excludes tax, title, license, options, and dealer fees. Amount due at signing includes first month’s payment, capitalized cost reduction, and acquisition fee of $675. Monthly payments total $10,881.01. Your payment will vary based on final negotiated price. At lease end, lessee responsible for disposition fee of $395, $0.20/mile over 32,500 miles and excessive wear and use. Offer not valid in Puerto Rico. See your Volkswagen dealer for details or, for general product information, call 1-800-Drive-VW.